Summer is officially on (PAG-ASA said Summer hasn't really entered BUT IT DAMN FEELS DOES!) and what better way to kill the heat than hitting the beach! I was never the beach type until I started to travel to the most beautiful shores around the country. I used to fear swimming on beaches because the thought of the open sea as the waves try to swallow you is just scary, for me. Dubbed as the Philippines' last frontier, the island province of Palawan is definitely rich not just in natural resources but also on places that will just make you fall in love with Nature. Last 2009, me and my dad visited the Puerto Princesa Subterranean River which is an hour or two drive from the City proper and an awesome boat trip away. Right after the caving adventure, our boat brought us straight to this beautiful beach where we had a hearty lunch and of course swimming! Honestly, I just strolled along the beach that time because those were the times, as stated above, that I was still afraid of beaches and shores. Now I regret those times that I did not stripped to my shorts and just swam over those white sandy waters! 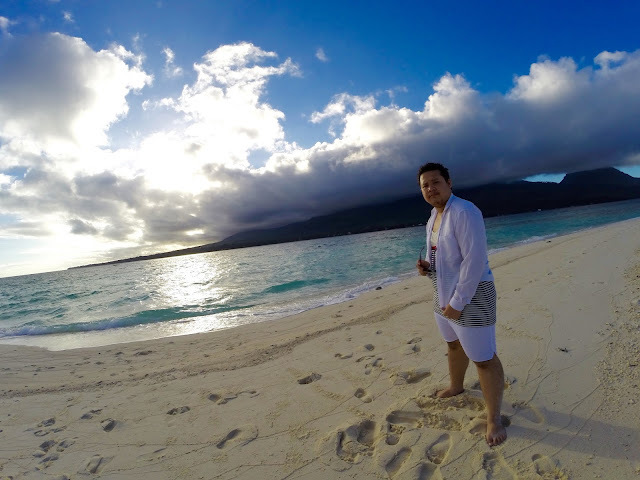 Camiguin is another island province at the navel of the Archipelago. Situated at the Northern Mindanao Region, Camiguin nestles at the Bohol Sea. Truly a gem, this volcanic island boasts of its mighty mountains and pristine beaches, one of the famous ones was the White Island. White Island is actually a Sandbar where there are no trees or vegetation living on it because when the tide is high, the whole isle sleeps underwater. Best way to visit this is on the earliest of the morning for you can actually have the island to yourself, just like our experience, and it's just picturesque. We didn't have the chance to take a swim though because our itinerary for that day is just jam packed! Truly worth the photoshoots though. Miles away from mainland Cebu, Bantayan Island can be reached from Mactan International Airport by a four-hour bus ride up north and another couple of hours through the sea via ferry. It was so tiring but yes, it was all worth it! The white sand beach mates with the blue sapphire waters all day long and springs up beautiful sights you can ever imagine! I will never forget when we arrive, the beautiful colours of the sea port, it reminded me of pictures I see of the Polynesian Islands in the pacific with its striking Emerald hues of the sea. completely different from other beaches across the country. The best thing I can say about Bantayan Island is that even if we visited in the middle of Summer 2011, there were very few tourists and you can have a big chunk of the beach all for your own group of family or friends. We stayed at the Kota Beach Resort at Santa Fe. their rooms are nicely cooled by the A/C even in the middle of a hot summer afternoon and their food is something to be remembered. There are also men who can chop coconuts fresh from the tree, right in front of you. Freshest Coconut I had as far as I could remember. There are several Surfing Schools that can offer you one on one lessons and we availed an hour of surfing at Charlie Does Surfing School. 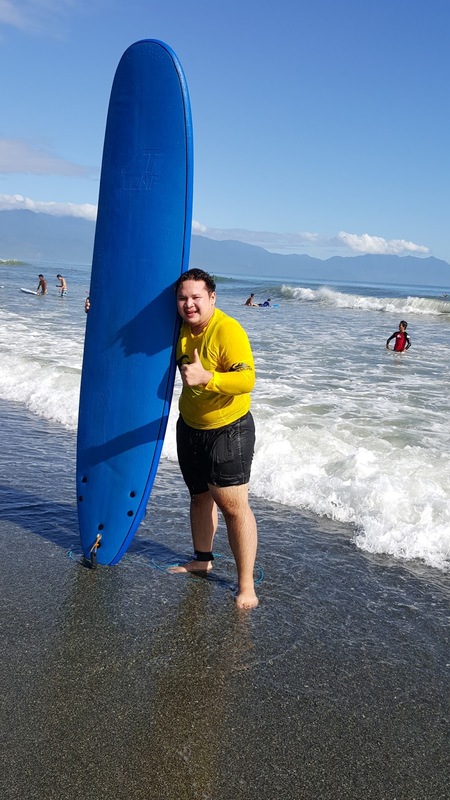 For just Php300 you can have an hour session of surfing and free use of their surf boards and rash-guards. That yellow one I was wearing are theirs, Yellow really suits me huh? My surf teacher was a guy my age, his name is Byron and he is very patient with me even if the whole hour, I never got to stand on the board! Ranking third on my list is Marine Base Camp in the town of Ternate. 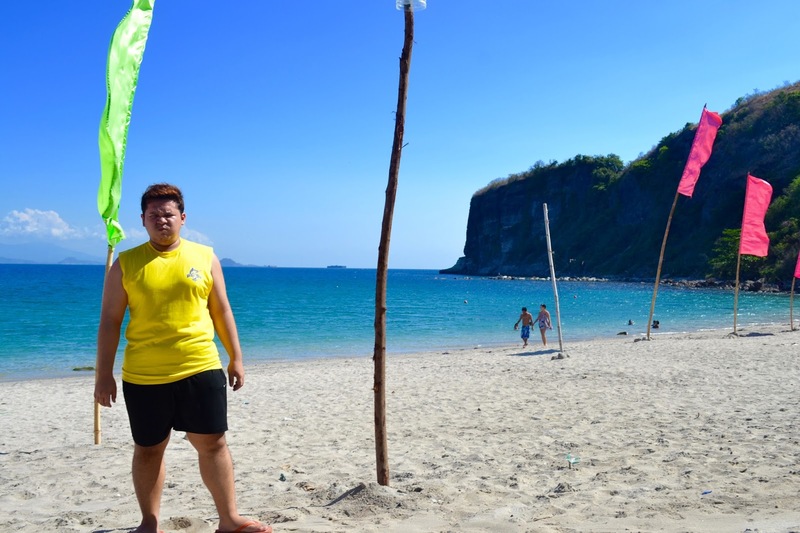 the first time I visited here with my friends, I couldn't believe that I was still in my own province of Cavite. the sand is white and the sea is clean and clear! Closest to home, you can get the feeling of having flown miles away to an island in the Visayas, without getting that far. Since it is a Base Camp for the Marines, this beach is not always available, especially if the soldiers have their exercises and practices. So better call if you know anyone from there to confirm if the base is open to the public to save up travel time because still, it is a good two hour drive from our place in General Trias. For an entrance fee of Php100 per person and another Php100 for every vehicle, it's actually a very good bargain for a quick summer getaway! Right after my beautiful niece Vanessa fetched me from the AMTRAK Station at Oceanside, she drove me all the way to Carlsbad beach where we went for an afternoon swim! Lined in front of beautiful (and expensive) beach houses, the place is crowded with a lot of locals and tourists. But what made Carlsbad gain my Number 2 slot on this list is that I felts so free to be there! 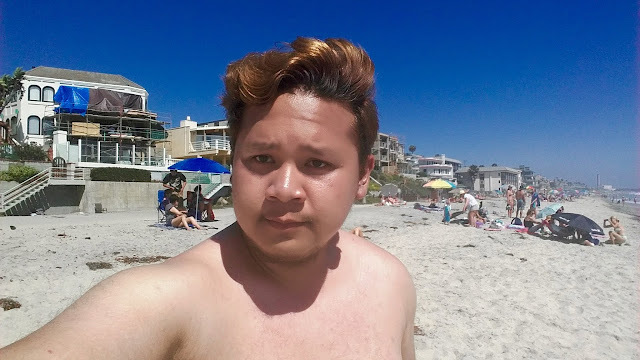 It was the very first time for me to go swimming on a beach out of my country and it's just so cool to strip out all your clothes and change to your swim shorts without the eyes that I usually get on Philippine Beaches. 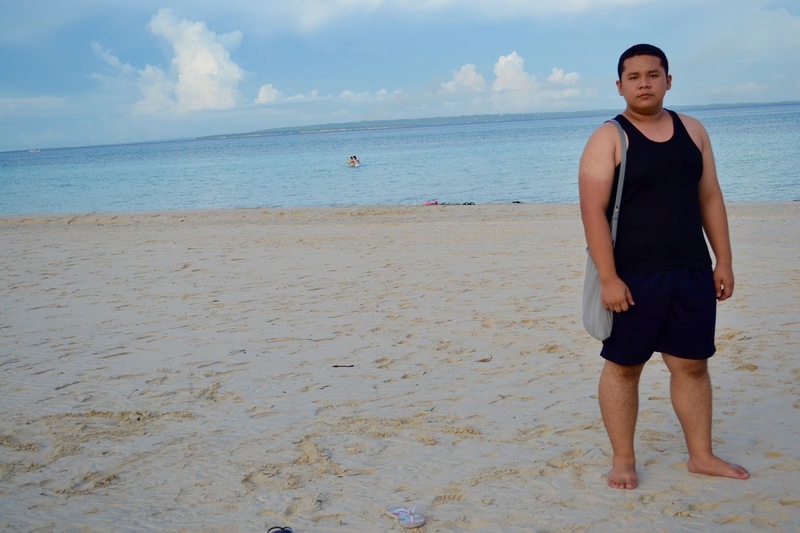 Even if I'm fat and big, everyone just don;t care all and just focused on having their own fun whether it's swimming, tanning, or sun-bathing! I'll never forget this moment I took the photo because I was so happy and my nieces Vanessa and Ghianna are waiting for me by the beach with the big slab of Burrito they got for me! Oh I miss those girls a lot! Wish I can go swimming with them again sometime soon! BORACAY! I know it's very overrated especially if you have been living in the Philippines for all your life, I know because I used to think that way! But the time you arrive at this World Famous Beach, it's just amazing! The powder white sand (Never an exaggeration) just feels so good on your skin, I don't think it could ever exfoliate my skin well because it's just floury fine! The people are so friendly especially the foreigners enjoying the island. 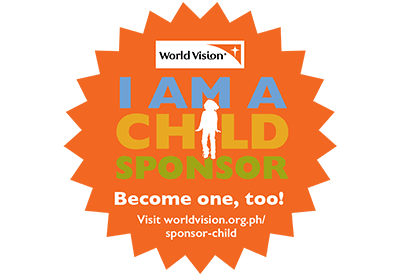 You'd be so happy to pass by them and I will never forget the feeling that if I could just make a public announcement to all the people from around the world how thankful I am for visiting the Philippines! Well, of course, I don't need to do that, I just let the beauty of Boracay speak up for themselves. Yes, the biggest problem I can see about this island is the CROWD! The term Labor-acay was actually coined because every summer time, especially on holidays like the Labor Day of May 1st, people just flock like ants around the island. I know this because of the pictures I see online and not by my own experience because I would never even dare try going there with all those people! The solution of course is to choose the time when you will visit Boracay. I guess the best time is on January when it's not the monsoon season nor summer so you can have it much for your self. 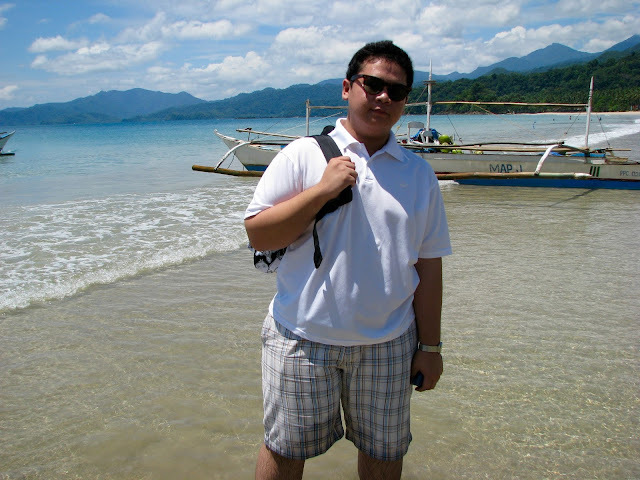 Also a big thanks to my cousins Kuya Jonjon and Ate Ardel for taking me to Boracay on my very first visit there last 2012. There you have it, my seven favourite beaches across the country and beyond. 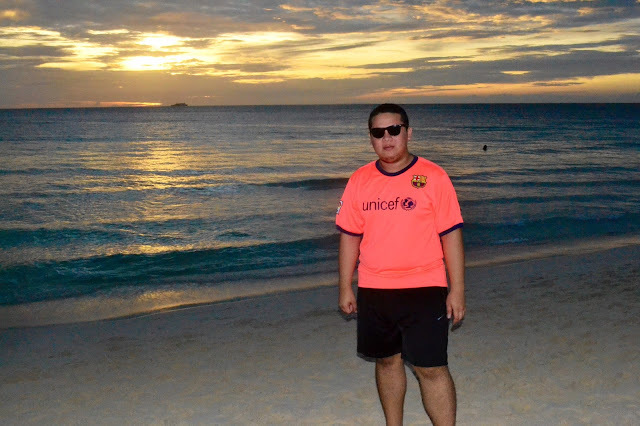 I just wish i can visit more beaches and experience more amazing memories along the shores of the world. Did your favourite beach made it to my list? Tell us about it and I might just get inspired to visit your favourite beach on my next adventure!